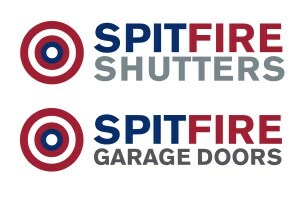 Spitfire Garage Doors - Curtains/Blinds/Shutters, Garage Doors based in Orpington, Kent. Spitfire Shutters are a family run business based in Orpington, in additon to this we have recently opened an office in Basildon which enables us to cover Kent and Essex, and all surrounding areas. With 25 years experience within the roller shutter and garage door industry Spitfire Shutters has a wealth of knowledge enabling us to give you the peace of mind that we will deliver your project to the standard you expect and deserve. Our vast experience within the industry enables Spitfire Shutters to offer a highly professional service from large multiple projects to a single shutter or garage door; our attention to detail, design and management is first class. Combined with our high quality products that will ensure your property is protected from unwanted intruders. With all our products being manufactured in the UK this enables us to provide a quick, efficient, high quality, value for money service from start to finish.